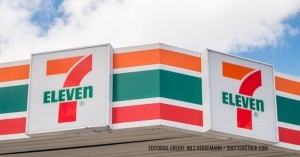 If you’re a fan of 7-Eleven Slurpees, you probably know that July 11 is a very special day: It’s 7/11, or 7-Eleven Day, when anybody can pop into one of the convenient store chain’s many locations and get a free Slurpee—no purchase required. 7-Eleven has been celebrating 7-Eleven Day by giving out free Slurpees for years. It’s the simplest of freebies. All you need to do to snag the deal is show up to a participating 7-Eleven store during the specified time period — between 11 a.m. and 7 p.m., get it? — and help yourself to a free small Slurpee. Customers can help themselves to any Slurpee flavor, totally for free, including the newest frozen concoction that incorporates an iconic cereal, Cap’n Crunch’s Crunch Berries.